John Cullen are proud to have been specified on a winning project at the National Lighting Design Awards. LED products were specified at the Lapicida showroom in a project designed by Lighting Design International which was winner of the Small Retail Projects category. The judges described the scheme as having the “wow factor” and being “a highly individual scheme that creates a lovely atmosphere“. 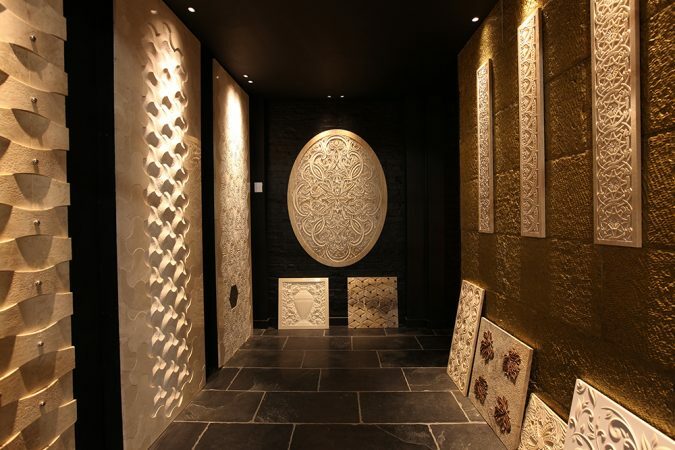 Polespring LED downlights were used to enhance the texture of the carved stone in the showroom’s “dark zone”. 1w Manhattan LEDs were used every second tread to create a dramatic entrance up the stairs from Lots Road to the first floor showroom. A combination of Polespring LEDs and Waterspring LEDs were also used to create individual schemes across a wide range of room sets to light key features and enhance the colour and texture of the stone throughout.